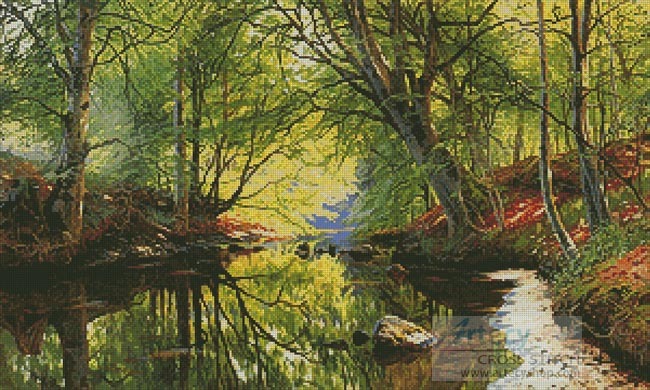 Reviews: Forest Stream Painting Cross Stitch Pattern to print online. I've just completed Forest Stream and was very pleased with the result. The coloration and dimension shown are very attractive. My only regret is that I didn't adjust the color of the sand at the river's edge to be more like the reddish soil here in Kentucky.